‘If you don’t ask the right questions, you don’t get the right answers’. When it comes to understanding a business and its risks this couldn’t be more accurate. As a commercial insurance broker, a big part of my job is about translating; it’s making sure I collect all the right information from the client, turn it into insurance language for the insurer and then break it back down for business owners so that people get what they actually need. Sometimes it’s in the technical wordings that things are lost in translation. Business Interruption insurance is a classic case. Everyone thinks it won’t happen to them – but stats quoted by firms ranging from KPMG to AXA Insurance put the frequency of companies failing within two years of a major incident at between 40 and 80 per cent. 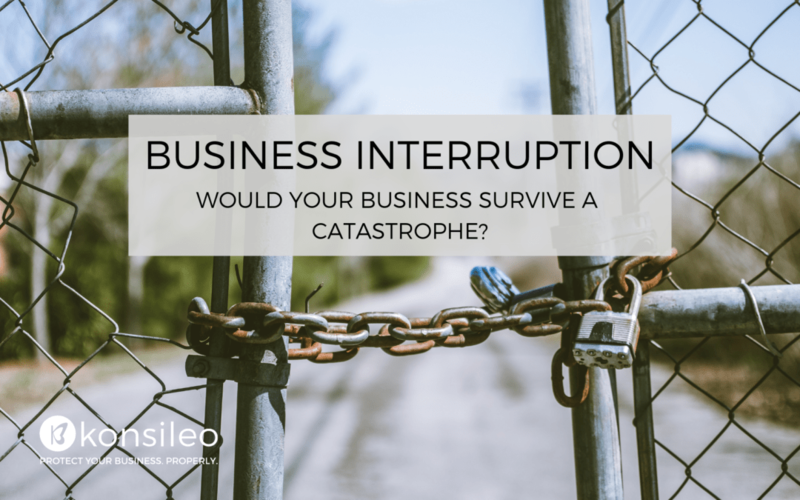 If something does happen, your business interruption policy is designed to put your business back in the financial position it would have been had no disaster occurred. Business Interruption cover will protect your balance sheet as a business and, hence, a carefully established business interruption policy can often be the reason your business recovers from a catastrophic event as a result of an insured peril (such as fire, storm, theft or accidental damage). In my 30 years of experience, I’ve seen a good deal of simple, yet crucial, things that can be wrong in a business insurance policy and the time to find out is definitely not at the point of claim. Getting things like the indemnity period or the sum insured right is invaluable in covering the loss of income while you are out of business. 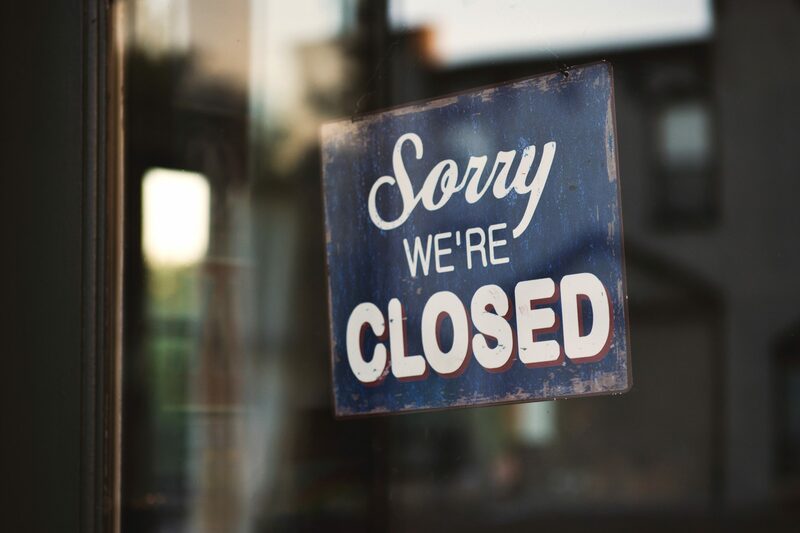 Today, I gathered the five most important things to look out for in your Business Interruption insurance policy to ensure survival of your business in a worst-case scenario. Let’s start with ‘The Insured’ – it’s probably the most important item on any insurance policy. Because any cover arranged relates only to the Insured as described on the policy schedule, it is imperative to ensure that all interests (Limited Companies, Individuals, Pension Funds) and their interconnectedness have been considered. Your broker should confirm all parties involved and understand any relationships between them. This way, in the event of a claim, your insurer will cover the losses associated with these parties. Likewise, who owns the building is equally important (business, directors, pension fund). This is because, should the worst happen and the building burns down, if the appropriate notice of interest isn’t included in the policy, technically the insurer doesn’t have to cover for it. So, for example, if the building is privately or pension fund owned, has the rent been included in the business interruption sum insured calculation? In these circumstances the building and loss of rent should be more appropriately insured on a property-owning policy. To be sure your business interruption insurance covers your property correctly, always double check with your broker any property ownership details are reflected in your policy. It sounds obvious yet it’s easy to get this wrong: what does your business do? The business description is one of the basic principles of indemnity and it should be adequate for what your business does. This means it should be wide enough to cover everything that you do but narrow enough that it doesn’t exclude you from any particular trades. For example, say you are a building contractor but you’re actually doing some sort of specialist work; if this work is outside the scope of the business description, then it’s not insured. Another point not to be missed off is the fact that if you own the premises of your business, your policy should include the phrase ‘property owner’ (including the ownership of property and land) listed in the description. This is because the insurer will pick up the liability attached to them as a property owner! To get this right, make sure your broker spends the time to fully understand what you do as a business, so that they provide a full and adequate description for the insurer. When it comes to business interruption insurance, your broker has to know what your gross profit is. The chances are you’ll give them your accountancy gross profit. However, in the case of business interruption insurance, the gross profit is different to what your accountant says! It’s your broker’s job to make this clear, otherwise you’ll end up being significantly underinsured. So, when setting the sum insured it is imperative that the calculation is done using a Business Interruption Calculator. Let me explain: in a business interruption cover you need to leave some things in that the policy will pay for. A classic example is wages – for insurance gross profit you want to keep the salary amount, because you’d want to keep your employees while you’re out of business. Imagine that it takes 9 months to put a brick on site if your premises burn down. You want to keep those specialist employees with you all the way, because, if not, you’ll have to start over and lose valued and experienced staff. When assessing the sum insured, err on the side of caution and think about business development, market trends and inflation. Consider that the claim could happen on the last day of the insurance policy when there has been massive business turnover growth and inflation is running high. Was this accounted for when setting the sum insured? Now, think about the policy indemnity period (see under), how long is enough to get you back up and trading to the same levels as you were immediately prior to the loss? It’s clear then that the sum insured and indemnity period are critical to business protection – it’s more than just doubling up on the calculated sum insured. How long is long enough? Well, it’s probably longer than you think. The indemnity period is the length of time, during which the policy will provide protection after the loss. It is absolutely imperative that this period is long enough to allow your business to recover fully. The reality is that, unless you are running a small shop or office, you are highly unlikely to be able to have the business up and running to the same level as prior to the loss in a 12-month period. Despite this, the high proportion of policies we review choose only a 12-month indemnity period, which, as I said, is rarely enough. Remember that the period of Indemnity needs to be long enough to get your business from the point of the loss to the point where the loss has had no effect, i.e. where turnover has achieved a level in line with pre-loss forecasts. The availability of suitable alternative accommodation and the length of time, which would be required to start production elsewhere and/or rebuild. The length of time required to replace the plant, machinery and stock. Specialist items, bespoke machinery or imported stock often have long lead times. You should always discuss these topics with your broker. Your broker should, in turn, make sure that they understand the particularities of your business industry to be able to predict any kinds of delays and the need for a longer period of indemnity. It’s clear that, when it comes to business interruption insurance, small details can make a big difference – especially at the time of a claim. Getting the insured title, the ownership details, your business description, the sum insured and the indemnity period right is crucial for your business interruption cover to successfully do what it’s meant to: keep your business up and running like nothing happened. Fortunately, you don’t have to do this on your own. To protect your business, make sure that you have a broker by your side that will ask you all the right questions and make all the insurance-ese clear for you. If your broker understands your business and the particular risks you might face, while paying attention to all the necessary details, you can be reassured that your business interruption cover will protect you properly. Stuart is a Chartered insurance broker with over 30 years’ experience arranging insurance for retail commercial and industrial clients. 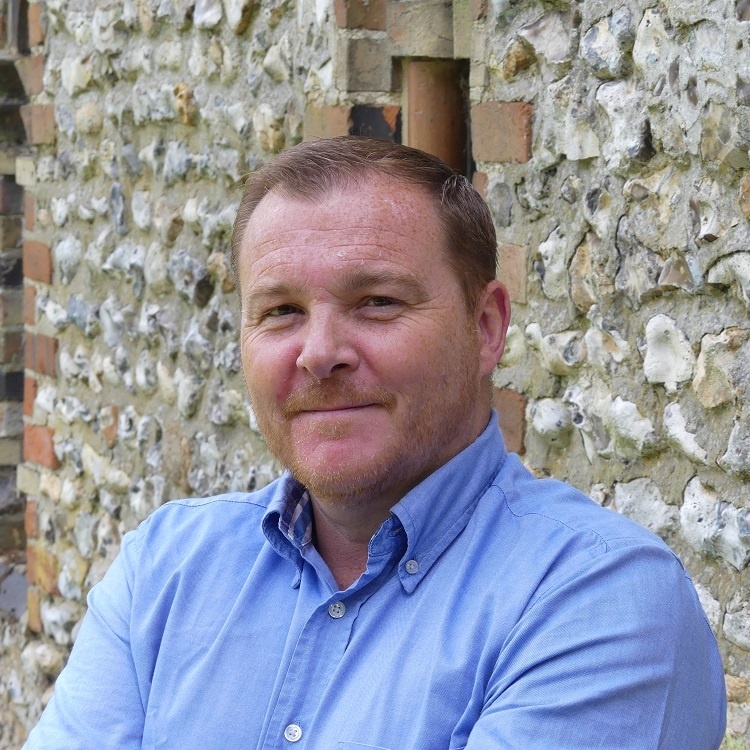 With a focus on customer service, detailed analysis of business risk exposures and solutions to meet the client budget, Stuart is ideally placed to offer an alternative approach to arranging commercial insurance protection.